How do you overcome flatlanders? Those people who shrug-off science and embrace misinformation. The people who thought you would sail off the edge of the world until explorers armed with science proved the earth was round. That was a question Wade Cowan asked a group of farmers and industry leaders at the end of a three-day International Soy Growers Alliance (ISGA) meeting in China. It was one of many questions asked during the three-day visit in China as leaders from Brazil, Argentina, United States and Paraguay talked with high level Chinese government and business agencies in hopes of them accepting new biotechnology seeds and farming practices. Finding an answer to that questions and others seemed simple. Use communications from a unified group of countries to promote the understanding of biotech crops and food safety. But as many representatives of ISGA found, China is setting the pace, and in some cases, making the rules on approving biotech events. That pace and the undefined rules for biotech approvals are causing financial and social shockwaves around the globe according to a White Paper that was released in conjunction with the ISGA visit. 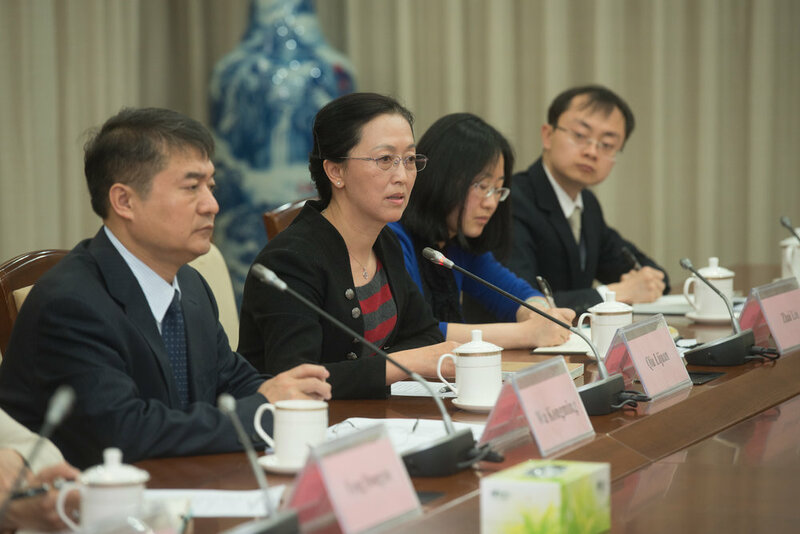 Through meetings with high-ranking industry, education and government leaders in China, members of ISGA presented information in a unified front to try and streamline the approval process. But to do that they found they have to overcome the fears of genetically modified crops when it comes to the Chinese people. That answer, in one form or another, was repeated to each group of ISGA international farmers as they met with the Chinese organizations. Organizations like the Department of American and Oceanian Affairs Ministry of Commerce, the Chinese Academy of Agricultural Sciences and the Department of Supervision on Animal and Plant Quarantine. “It would be a significant improvement if all the ISGA countries together with Chinese industry could work together to create a pilot program for soybeans,” Jim Sutter told Chen Xuecong and others gathered at a meeting. The ISGA, formed 10 years ago from countries representing 95 percent of the world’s soybean production, has been working together in a united front to prod European and Asian countries to approve biotechnology events in an efficient manner. The ISGA representatives that participated in the mission to China know their message is being received, but the actions of the Chinese government are still undefined. Ever wonder where all the soybeans you grow on your farm go? Representatives from state soybean organizations found out there are great people and companies using Iowa soybeans throughout Latin America, specifically in countries like Panama and Costa Rica. Today the group made up of executive directors, international marketing staff and communication staff members had the opportunity to see ships move through the Panama Canal. Many of the soybeans grown in the United States are shipped to Asian markets using the Panama Canal to make it to those markets in the most efficient and cost effective way. Shipments of grain are second only to container ships that navigate through the Panama Canal. Each year over 14,000 vessels pass through the canal on the way to over 144 maritime routes in 80 countries. That capacity will grow in efficiency and will double through the expansion of the waterway by means of a third set of locks. 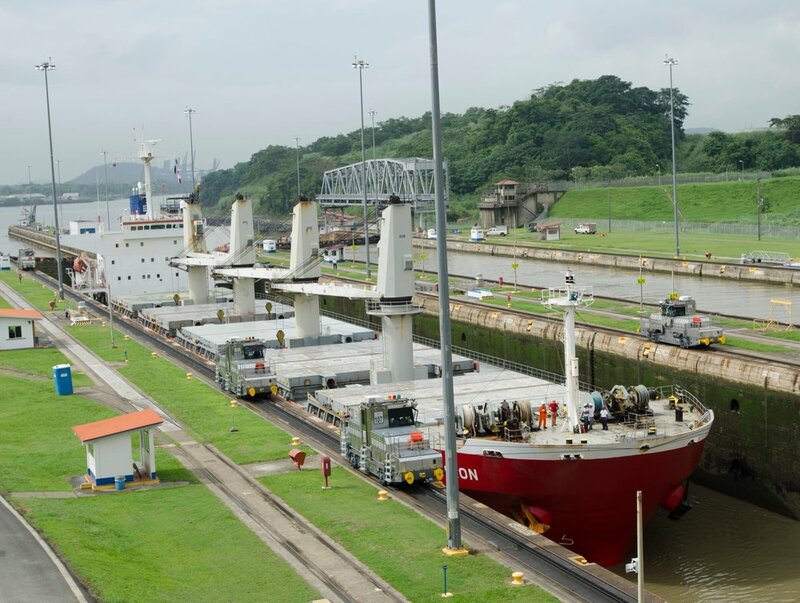 The Panamanian government hopes to have the new locks open by the year 2014. Not all of the U.S. grown soybeans pass through the canal on the way to other markets. Some stay in the region and provide great products to agriculture businesses in Costa Rica and Panama to name a few. Members of the soybean organization tour hosted by the United States Soybean Export Council (USSEC) and the Ameican Soybean Association International Marketing found out first-hand by touring a soy aquaculture farm in Costa Rica and feed mills in Panama. One farm the group toured was where they grow fish for Rain Forest Tilapia Company. The company feeds 15,000 to 18,000 metric tons of soymeal per year to fish at the farm. One hundred percent of the soybean meal is imported from farmers in the U.S. The fish are then returned to the states as great tasting fillets that can be bought in Costco and other retail outlets. For more stories check the Iowa Soybean Association’s Facebook page in upcoming days.